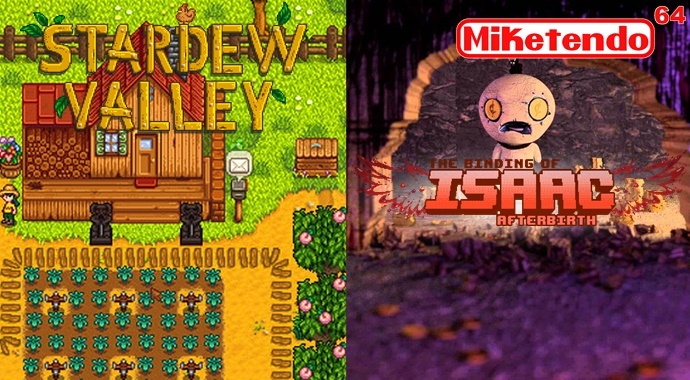 In an unsurprising turn of events, Developers ConcernedApe and Nicalis have pulled out for developing Stardew Valley and the upcoming DLC for The Binding of Isaac: Afterbirth. It is understandable, With Nintendo confiming that they are pulling the plug on further Wii U software development and discontinuing Hardware distribution, indie developers has little choice but to follow suit. However, as regards to the DLC, Binding Of Isaac: Afterbirth+ not coming to Wii U, it does seem a little odd but then again it’s not the first time a 3rd party game didn’t receive DLC on the Wii U, Ubisoft did the same with Assassin’s Creed IV: Black flag. It will be interesting to see if Nicalis release the game along with the DLC or whether it will have to be downloaded separately, only time will tell.